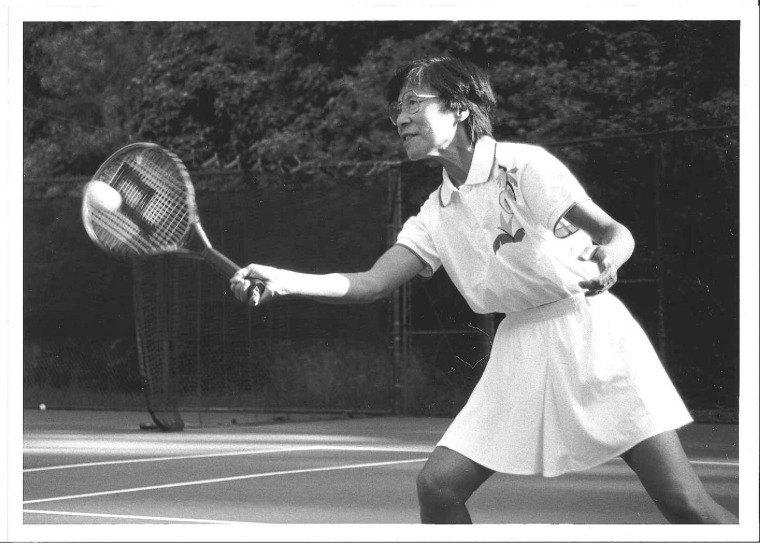 Helen Wong Lum, a San Francisco multi-sport champion who crossed gender and racial lines in the 1940s, died on Dec. 22 at the age of 84, according to her family. Born in San Francisco in 1931, Wong Lum earned a graduate degree in counseling from the University of San Francisco and spent the bulk of her career in a 24-year stint working as a counselor and international student advisor at the City College of San Francisco, but she was introduced to her greatest passions of basketball and tennis while a student at St. Mary’s Chinese Catholic School. Her basketball teams won Catholic youth league championships in 1947 and 1949, and she was encouraged to pursue tennis by Father Donal Forrester, director of St. Mary’s and coach of the basketball team. Yep, a professor of Asian-American studies at Pitzer College, dedicated a chapter of "Outside the Paint"to Wong Lum’s story. "When there were restricted options for working class Chinese American women, Helen Wong Lum broke many barriers as a talented, multi-sport athlete in the late 1940s,” Yep said in a statement released by the family. “Thirty years before Title IX and sixty years before the Williams sisters changed the face of tennis, Helen used sport and education to forge new territory for young women of color in Northern California." Wong Lum stopped playing tennis in her 40s when she was diagnosed with lupus, but picked it up again in her 50s when she managed the disease, according to her family. She would go on to be ranked first nationally in the Women’s 50, 55, and 60 divisions, winning seven national senior tennis titles. In 1996, she was inducted into the Northern California United States Tennis Association Hall of Fame. She had previously been inducted to the San Francisco Prep Hall of Fame in 1988. Her success, her family says, was due to her love and passion, which she reinforced in anyone who would confide in her. Wong Lum is survived by her husband of more than 50 years Charlie, her eldest sister Violet Yip, and numerous nieces, nephews, grand nieces, and grand nephews.